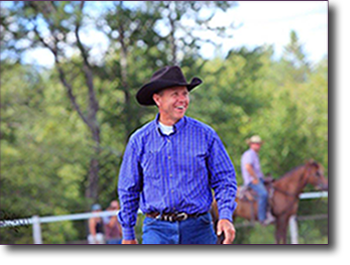 Todd Owens is a 3-Star Parelli Natural Horsemanship Professional and retired police officer who is the owner of The Horseman’s Word Ranch in Uxbridge, Ontario, Canada. He hosts a variety of clinics, offers private and group instruction and speaking engagements throughout Ontario and Quebec where he helps his students and audiences achieve their personal and professional goals. His students and audiences range from Individual horsemanship students to business professionals and organizations. Todd has spent 30 years policing in the GTA where he has worked in multiple positions, such as a Criminal Investigation Branch Team Leader, Homicide Detective, and Undercover Officer. His last seven years of policing had a strong focus on sharing knowledge and educating those who were involved and responsible for managing the emotions and well-being of others. Todd was also a frequent Guest Lecturer at the Canadian Police College where his audience was comprised of Managers, Team Leaders and Negotiators of police services across Canada. He facilitated learning that enabled his audience members to improve their skills to develop and manage the emotions of others to increase well-being, create positive and productive work environments and to create healthy individuals and teams. His lectures also taught his audiences how to identify shifts in the mental health continuum to ensure the well-being of team members, themselves and the general public to which they serve. In 2005 Todd embarked on a second-career, as he began his journey to becoming a Parelli Natural Horsemanship Professional. After buying his wife her first horse as a gift for Christmas, his passion for learning more about himself and others began and became a calling for him. 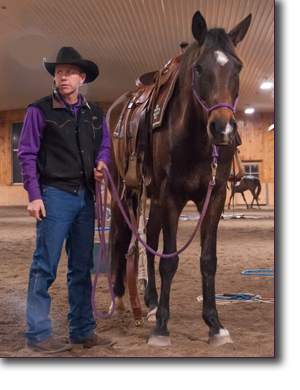 After certifying as a Horsemanship Professional, Todd has built a successful coaching and mentorship business, while continuing to work in his policing career. This past year Todd retired from policing and has taken his business and enthusiasm for teaching, mentorship and sharing knowledge with others full-time. Todd is a gifted coach, teacher, and passionate mentor who empowers his students and audiences with expert knowledge to understand life’s lessons and how they can be used to shape one’s own life and the lives of those around them. The knowledge in his teaching stems from over 30 years of incredible and unique life experiences, within both his former policing career and his horsemanship journey. Todd’s lectures, clinics and workshops leave his students and audiences motivated and inspired to develop themselves, achieve their goals, and ready to take on challenges within their own lives and workplace. Todd also focuses on helping organizations and business professionals develop strong teams, leaders, positive relationships, and productive team-based work environments. Todd takes a “good, better, best” approach to influence others to be the best version of themselves by emphasizing we are all leaders and that we are all capable of leading by understanding ourselves and how we can help others to bring out the best in themselves. He emphasizes the power that language and body language have to influence communication and he helps his audiences recognize the power that human interaction has to shape one’s emotions and their relationships, both professionally and personally. It is with this power that Todd teaches his audiences and students that they can create incredible teams, increase work-place productivity, enhance all relationships within their lives and become their most successful self. Prepare to be inspired!